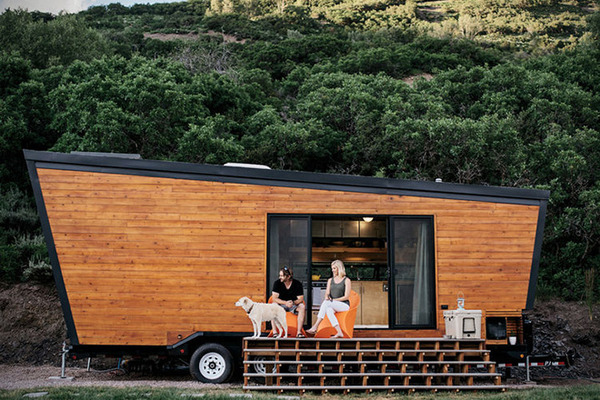 We've seen a couple of these incredibly designed tiny houses popping up over the last year and they never cease to amaze me. The stories people have about living in them and the desire to simplify one's lifestyle has great appeal to my nomadic bones, but I particularly wanted to point out this one for both its charming aesthetic and its use of space. 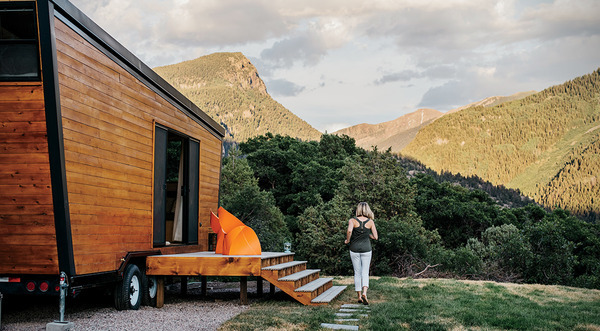 This 236-square-foot home is called the Woody by the couple that built it in an attempt to capture the warmth of winter cabin with the charm of a summer home on wheels. What impressed me most is their sacrifice of storage space in exchange for more inviting open spaces (I've written copy for a couple major motorhome companies and this is somewhat taboo). Not to mention that their entire dream home was made for under $50,000. 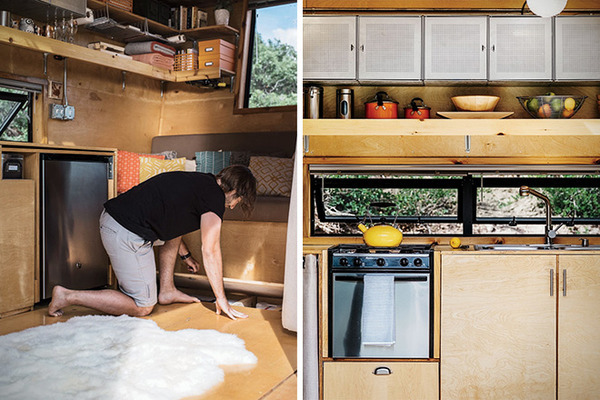 Read more about the couple and how they actual designed/built the Woody on Dwell.com. My main point of contention on the small home movement is the stated cost. Just as with this example the only cost given is for building the structure. This cost alone is not economical in that it cost them about $100 more per square foot than the average cost of building/buying a new home and no mention is ever made of the hidden costs. The cost per square foor is probably closer to the range or $200 - $400 more per square foot when the cost of land/land improvements are factored in. The cost of a vehicle large enough to pull this thing around (or paying to have it moved) plus the cost of a second vehicle if you don't want to use a large tow vehicle as a daily driver. The cost of purchasing and improving a plot of land to place this thing on or the cost of renting a piece of land. The cost of maintaining a home such as this since it is subject to entirely different stress forces than a stationary home plus the maintenance of the tow vehicle (if owned). The fact that there is no return on investment if you choose to get out from under it. People have their reasons for living like this. I just wish that cost as the motivator was not given as the main reason when there is nothing economical about living like this.